Today was the day. We'd sneak in and destroy Newcago's power plant. Yay! Don't get me wrong, I loved all the character establishing and the geeky details about Epics that we learned over the last few chapters, but now it's time for some action! Sparking woman, I thought. Try making some sense for once. Psst, David. Gotta tell ya, man, we rarely do. Just stop trying to figure it out and go with the flow, my friend. But we're the good guys, I told myself, breaking open the wall and letting Megan slide through first. Of course, what terrorist didn't think he or she was the good guy? We were doing something important, but what would that matter to the family of the cleaning woman we accidentally killed? So many action novels and movies kind of forget this point in the middle of all the mayhem, even if the hero is the sort of person who tries to keep innocent lives out of the firing line. I love how Sanderson has set David up to be the kind of character who asks these questions and cares about this kind of thing--I kind of wish he'd dug into the idea more. I pushed my hand hard, flat, feeling the glove shake. It wasn't just the glove, though. It was my whole hand. That had confused me at first. It seemed like I was creating the power, not the glove--the glove just helped shape the blast somehow. "You sound worried about something," I said between making handholds. Despite his assertion, I do believe Prof is worried. David has theorized he was involved in studying Epics before the government infrastructure collapsed--does he know about an Epic gene? Because David can activate technology that is based on Epic powers with such ease, is Prof worried that David could become an Epic? Gah! Too many questions! "I don't think we should be killing Steelheart, and I don't like how you've hijacked the team to fight your own personal war against him. He's brutal, yes, but he's doing a better job than most Epics. He doesn't deserve to die." Do you agree with Megan here? 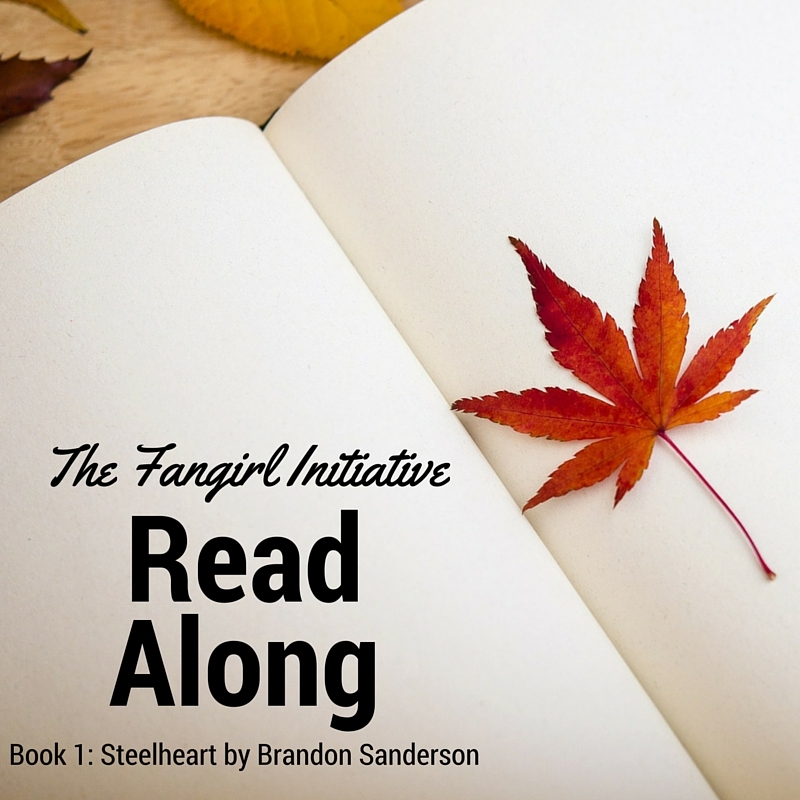 David kind of has dragged the Reckoner team into helping him with his vendetta against Steelheart. He even admits that he's out for revenge, pure and simple. But is Megan right? Steelheart did keep Newcago from falling into chaos like so many other areas. Do his victories outweigh his sins? It's too large of a chunk for me to quote, but this whole bit with the guards looking down into the elevator shaft, somehow missing David, and then Megan actually seriously considering killing him afterward (I mean, he flat out notices her hand going for her gun)...it was a weird scene. She knelt beside me and eyed the wall and the wiring. A seemingly unused room set to detonate already? What is Steelheart trying to hide here? "Wow," Cody said. "Look at that. I guess some of the power cells went up." So, the explosives that were already in the building, put there by Steelheart, were way more powerful than the ones used by the Reckoners. People hadn't really paid that much money for such simple things, had they? It baffled me. Pre-Calamity people had been a strange lot. "He's been bragging," Abraham said, "and making things up--only now, his ministry has to make all of his claims sound true. Otherwise he'll look foolish." I think it's interesting that Steelheart thinks he needs to make up stories about himself. He already turned the entire city of Chicago and a good portion of the lake into steel. That wasn't good enough? "Ten years is not so long," Abraham said. "Not in the big picture of things... The heroes will come. Someday we will have Epics that do not kill, do not hate, do not dominate. We will be protected." This whole conversation...just...wow. Rarely do you see the heroes arguing about how their actions will affect everyone else. Everything here is pure philosophical gold, if you have that turn of mind. "No, not a test of faith or anything like that," Megan said. "I mean a test of what we'll do, if we have power. Enormous power. What would it do to us? How would we deal with it?" A test still has to be administered by someone or something, Megan. But she raises interesting points, nonetheless. Ordinary humans, given ridiculous amounts of power...it reminds me of the Lord Acton quote, "Absolute power corrupts absolutely." My father lay slumped against the pillar, head to the side. The bullet wound was frozen in the steel folds of his shirt. His eyes were still open. He looked like a statue, cast with incredible detail--even the pores of his skin were clear. The entire description of the old bank vault was eerie, but the description of David's father, his body turned into a steel statue, made the hair on the back of my neck rise. "If. in doing so, he let Steelheart live....well, Steelheart hadn't done terrible things at that point. Your father couldn't know the future. You can't be so frightened of what might happen that you are unwilling to act." I stared into my father's dead eyes and found myself nodding. "That's the answer," I whispered. "It's the answer to what you and Megan were arguing about." I love how this whole chapter is a turning point for David. From here on out, even though he is partially driven still by revenge, he seems to understand and perhaps even believe what most of the others seem to believe as well--that they're doing this for a good reason. What did you guys think of these chapters? There was some pretty neat stuff discussed--any thoughts? While I'm not participating in the readathon, I did read the books earlier this year for the first time. There were so many things in this chapter that I loved getting to see—the team's doubts about David's revenge, the rising stakes, and the hints that something may not be what it seems to be. I do love how every one of the characters has a different way of looking at the situation. They all have different experiences and see the Epics as so many things. It's intriguing to see how much this affects what everyone does.